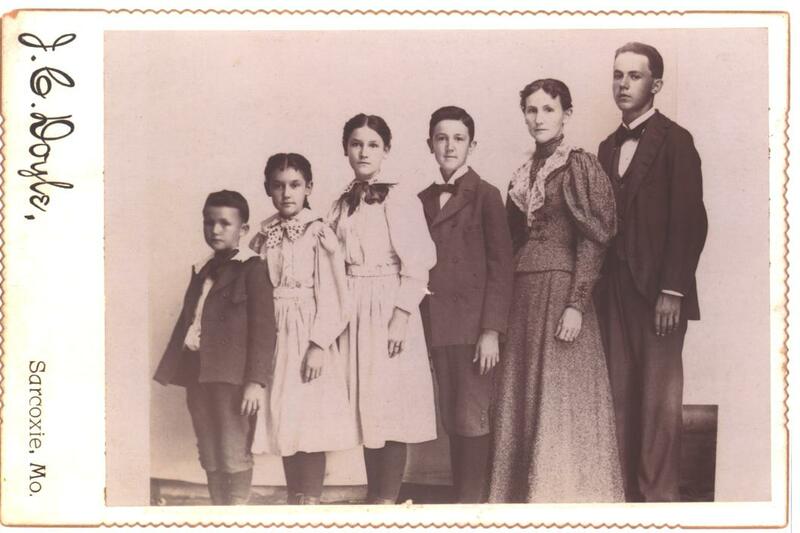 This photo of Helena Baerenz Dieter (second from right) and her children was taken around circa 1895. From left to right are August, Hattie, Kate, Philip, Helen (the mother) and Fred. C.A.Dieter, the head of this family traveled often with his work. I believe that this picture was taken for him to carry with him and to remind him of his family at home. Note the picture was taken in Sarxocie, Missouri. In 1900, the faily moved to Joplin, Missouri. The picture above was taken circa 1907. 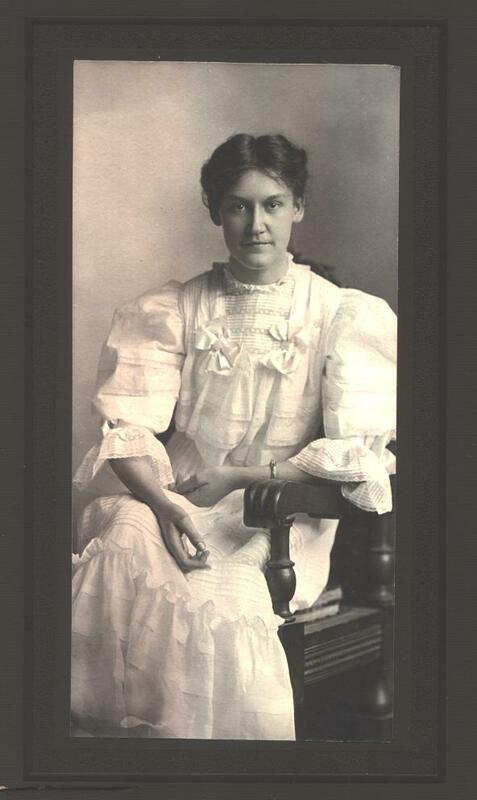 It might have been Hattie’s High School graduation photo. 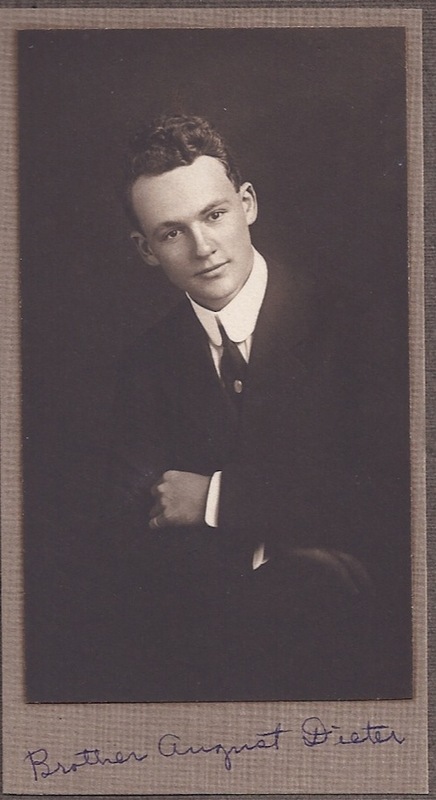 Hattie’s youngest brother, August Dieter born March 15, 1890 in Sarcoxie, Missouri is pictured above. August died from what many believe was a self inflickted gunshot wound in Joplin, Missouri, April 19, 1916. August was the third of Hattie’s brother’s to die in the space of five years.